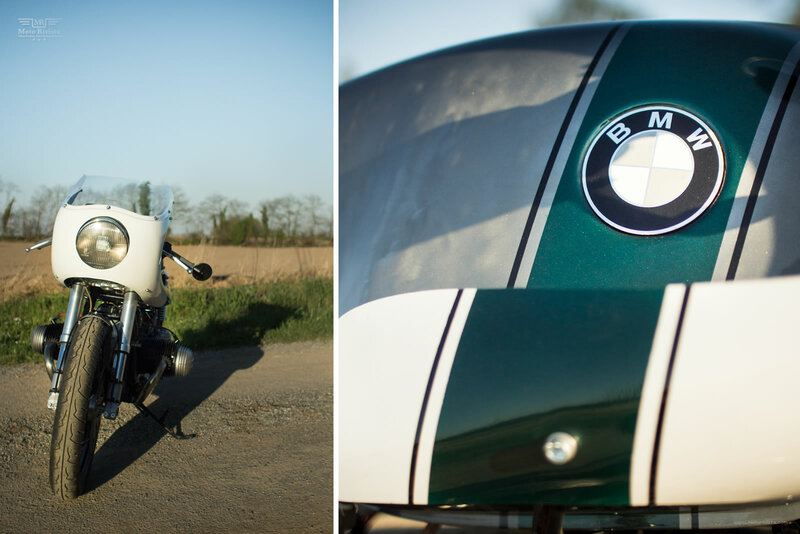 What would you do if you got your hands on an old BMW R80/7 motorcycle? Option A – Take it for a spin, join the local classic collectors club and polish it everyday! Option B – Let your wild imagination loose and find a custom motorbike builder to craft something that is more than just a classic motorcycle. Guess what? Not every classic bike deserves to be left stock original. 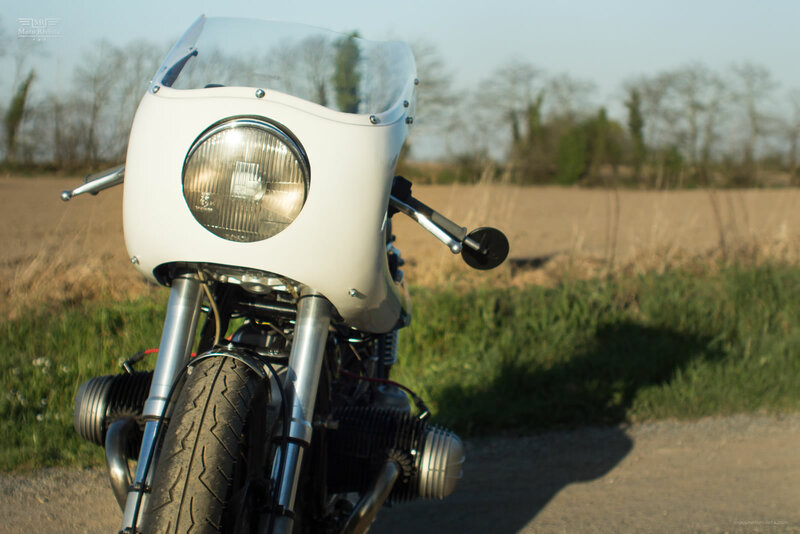 Some classic bikes will need more than just a restoration; today’s feature build a BMW R80/7 is an excellent example of a classic transformation. I am glad the owner of this stock BMW R80/7 decided to think outside the box, otherwise I’m not sure what I would be featuring today? 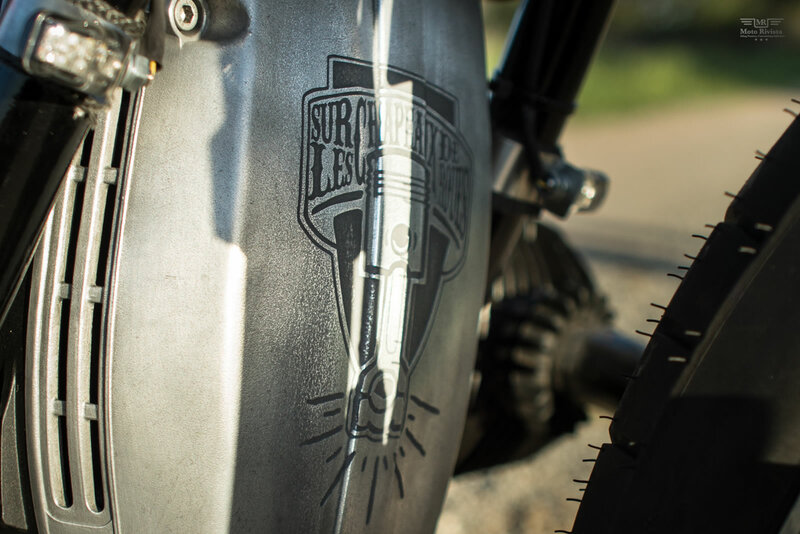 The original bike belonged to a customer from Brest, who met Manu and Yann of Sur Les Chapeaux De Roues when they showed their bikes in the La factory 41 shop. He asked them to make a kind of cafe racer sport bike with his old BMW R80/7 from French road police “Gendarmerie”. The bike originally had plastic everywhere, so they quickly removed all that and tried to give the bike a bit of racing spirit by changing the front fork to one from a Ducati. Whilst still keeping the original wheel. The stock battery was replaced with a smaller lithium battery. The BMW R80/7 engine is fitted with a new Arrow exhaust, whilst the footrest was modified to adapt the new exhaust system. The taillight is from an old piston of a Honda CB125, which is another unique touch to this custom BMW R80/7. Adding to the new lease on life for this old BMW Yann’s sister helped out by making a new seat. The bike was also given some fresh paint, a mix between raw metal and grey with a bold green strip through the tank. I personally like the striking logo (designed by Yann) engraved on the front carter, which was made by a local company Stick your Cycle. The guys worked for 2 months on this project, we hear they nearly lost their minds on the electrics – wires everywhere!! Thankfully that didn’t happen and the result is this beauty, with a really nice look and a beautiful sound!